For the 3rd year, Fine Art Asia 2018 presents a section dedicated to photography. The fair will showcase a worldwide selection of galleries chosen by Boogie Woogie Photography. It will present to the public an eclectic selection of artworks from vintage to contemporary creations. The photography section includes f22 foto space (Hong Kong) with a solo exhibition of American photographer Elliott Erwitt (b. 1928). Known for his candid and often humorous black and white images, Erwitt is responsible for some of the most iconic photographs of the 20th century, including indelible portraits of figures like Marilyn Monroe, Che Guevara, and Richard Nixon. Over the course of his career, the artist has published numerous photobooks, often with a particular focus on dogs. In the 1950s, Erwitt was invited to join Magnum Photos by Robert Capa who admired his style of off-the-cuff shooting. 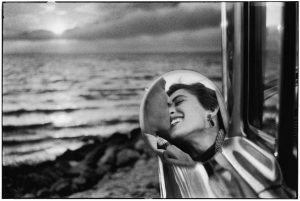 In the late 1960s, Erwitt served as Magnum’s president for three years. His works are held in the collections of the Art Institute of Chicago, the National Gallery of Art in Washington, D.C., and the Cleveland Museum of Art, among others. 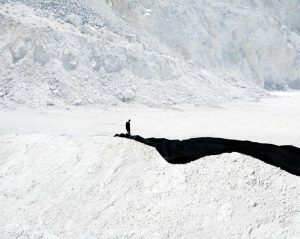 Pékin Fine Arts (Hong Kong/Beijing) presents black and white photography by Robin Moyer, an award-winning American photojournalist, with a career spanning over five decades in Asia; as well as works by Liu Di, one of China’s leading young conceptual photographers. Robin Moyer began working for Time-Life publications in 1978 and was Time Magazine’s Chief Photographer in Asia from 1983 to 1998, receiving many awards for his work. He carried out a wide range of assignments, including in Cambodia, Afghanistan, the Philippines, the Seoul Olympics in 1988, and Tiananmen incident in Beijing in 1989. Over the years he has made special portraits of the political and business leaders of Southeast Asia, producing 20 covers for Time. Among them: Lee Kwan Yew, Mahathir Mohamed, Aung San Suu Kyi, Fidel Ramos, Corazon Aquino, Stan Shen (ACER founder), Li Ka-shing. Kim Dae Jung, Kim Young Sam, Zhao Ziyang and Deng Xiaoping. He has worked on assignment for many other publications including Life, Fortune, People, Newsweek, The Far Eastern Economic Review, Paris Match, The London Sunday Times Magazine, Smithsonian Magazine, New York Magazine, Elle and Vanity Fair. Liu Di (b. 1985) Liu uses digitally manipulated photographs to investigate the friction between the natural world and urban life in China. His surreal works feature exaggeratedly large and cartoon-like wild animals, sitting in the midst of destroyed landscapes of residential neighbourhoods. He also plays with the juxtaposition between disproportional human nudes and natural surroundings. He explains that these works look at a mutually destructive relationship through the ruin of both human and animal living spaces. Liu first conceived of the project while navigating the crowded suburbs of Beijing, where he has been based since his graduation from the Central Academy of Fine Arts. Independent & Image Art Space (Chongqing) will showcase the latest works of Chinese artist Fu Wenjun (b. 1955) who has developed the concept and practice of “digital pictorial photography”. Fu Wenjun graduated from the Sichuan Fine Arts Institute and currently lives and works in Chongqing. His works embody his reflections on many issues related to the Eastern and Western history, culture and humanity, including the relationship between different cultures in the age of globalisation, the heritage of traditional Chinese culture in a rapidly changing society, industrialisation and urbanisation in Chinese cities. His work has been exhibited worldwide and won numerous awards. 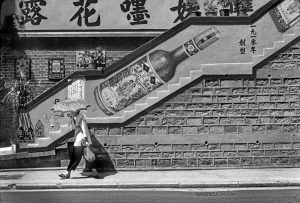 Artify Gallery (Hong Kong), Hong Kong’s premier gallery dedicated to the art of contemporary print and paper works, will exhibit works by Hungarian photographer Bence Bakonyi and Malaysian photographer Eiffel Chong. Bence Bakonyi was born in 1991 in Keszthely, Hungary and graduated from the Moholy-Nagy University of Art and Design. In his early 20s he lived in China and travelled around Asia where his staged photography series were complemented by documentary photography. 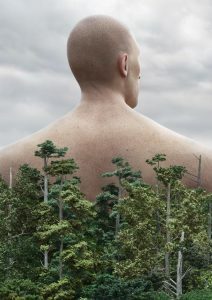 Despite his young age, Bence Bakonyi has already participated in many exhibitions and art fairs. His works represent freedom, airiness and transubstantiation. Beneath their contemporary and young aesthetics, they provide us with deeper layers of interpretation. The generous spaces of his photographs and their capacity to connect reality and fantasy take us away from the problems of everyday life and direct our thoughts towards more universal and dignified questions of human existence. Eiffel Chong was born in 1977 in Kuala Lumpur, Malaysia and graduated with an MA in International Contemporary Art and Design Practice from the University of East London and a BA (Hons) in Photography from London College of Printing. Besides his photographic work, Chong is highly engaged with the Malaysian photographic community; as mentor for the Nikon Shooting Stars programme and Exposure+ Workshop and a member of the panel of judges for the Kuala Lumpur Photography Awards 2016 & 2013 and 2017 Annual Nikon Photo Awards, Malaysia. Chong’s work considers abstract concepts of life and death through banal details, silent landscapes and curious obsessions he observes in daily life. He is interested in how the photographic medium can translate a particular time and space, memories and thoughts into something permanent. He personally thinks that the images say more with less. Boogie Woogie Photography (Hong Kong) will present 60s colour-prints by French photographer Raymond Cauchetier (b. 1920). Largely self-taught, Cauchetier first began taking photographs while serving in the press corps in Indochina in the 1930s. On his return to Paris, he began mixing with a circle of young film critics and filmmakers, among them Jean- Luc Godard and François Truffaut, which led to him becoming set photographer for many seminal films of the French New Wave cinema. Also presented are large format view camera prints by Franco-Polish artist Bogdan Konopka (b. 1953), who began taking photographs of his home town Dynow in Poland which was almost destroyed by reconstruction. Living in France since 1989, he continues to work on the evolution of European cities. He photographs their hidden and fragile faces, pushing doors, visiting backyards, getting lost in deserted buildings. Landscape photography by Hong Kong’s Stephen King (b. 1966) will also be on display. Fascinated by patterns formed by nature, King enjoys traveling the world in search of images that explore the landscape’s capacity for both drama and serenity. King’s work has been described as painterly, a style he cultivates through his use of light, colour and composition. 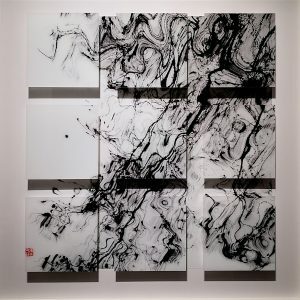 A product of two cultures, King points to his love of Chinese ink painting and American Abstract Expressionism as influences that help inform his aesthetic. Japanese photographer Takeshi Shikama (b. 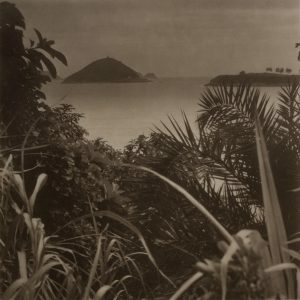 1948) prints his landscape photographs himself on rare Japanese Gampi paper. In 2002, Takeshi Shikama turned to photography after a career in the field of design. He was drawn to forests as the subject for his large format camera. It was the “invisible world”, hidden behind the “visible” that he worked to capture. His first photo collection was published in 2007 as ‘Mori no Hida – Silent Respiration of Forests.’ This project became the launch of his lifetime endeavour. The Hong Kong University Museum and Art Gallery will present an exhibition featuring early photographic images by Hungarian naval doctor Dezső Bozóky from the Ferenc Hopp Museum of Asiatic Arts in Budapest. ‘At the Turn of the 20th Century’ showcases a collection of early photographic images that Bozóky (1871-1957) took in Hong Kong in 1907-1908 and juxtaposes them with Chinese furniture of the same period. Whereas the photos document a first-hand experience in China during the early 20th century, the furniture is decorated with traditional Chinese landscape scenes, typical of late Qing culture. 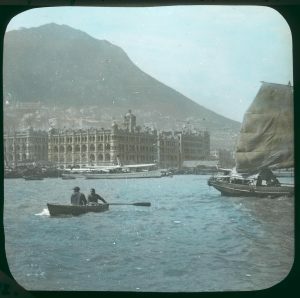 Bozóky’s images present rare views of the former colony and its busy Victoria Harbour. His beautiful black and white and hand-coloured pictures give fascinating insights into the bustling merchant town, culturally mixed society and lush natural landscape that he captured with his lens.